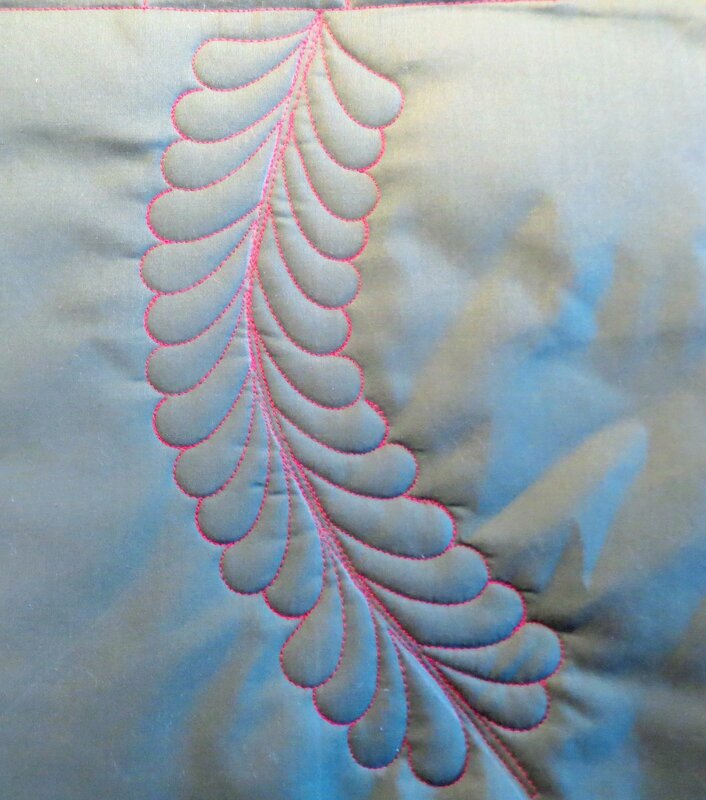 Instructions are given to get you started properly setting up your machine, attaching the Westalee Ruler quilting foot, setting your tension and planning a design to use the Westalee Feather templates. You can then create your own designs once you have learned to use the Westalee Feather templates. Quilt Feathers with straight or curved spines, or the templates can be used to quilt feathers around circles. To take the Westalee Ruler Feathers Class you must have completed a previous Westalee Ruler class such as "Westalee Ruler in Two Days" , or another Westalee Ruler class. You must be able to use and have purchased the Westalee Ruler quilting foot, be able to attach it to your machine and to set and use your "free motion quilting" setting on your machine and adjust the tension to use these rulers. It is also strongly recommended that you have an extension table for your sewing machine.